Post details of freeware that are found to be not portable here. Posts in the submissions forum relating to freeware found to be not portable should also be moved here. 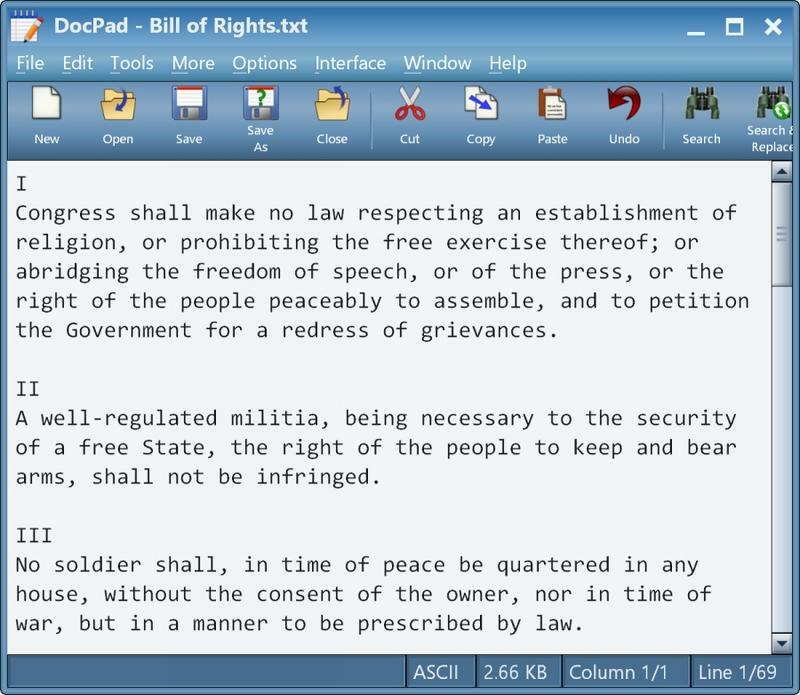 Amazingly, DocPad has been in active development for 15 years straight: current version is v22 (changelog is at https://www.gammadyne.com/rh10010.txt). Not the most modern interface but a slew of interesting features, nonetheless. You may install DocPad to a USB flash drive. The target folder "x:\DocPad" is recommended, where x: is the drive letter of the flash drive. A shortcut will be installed to the root of the drive. To uninstall, simply delete the folder and the shortcut. I did it this way and it worked fine. Not sure what you mean by "stealth". In short, portability on this site is saving settings to the local folder and not somewhere in the user folder, appdata, or off in the registry. "Stealth" meanwhile is when a program doesn't write anywhere else BUT the local folder. but this can be prevented by unchecking "Create Backups" on the Options menu. Useful info. Thanks for testing. Great post, thanks. I'm sure I've seen this several times before but I was put off by the name, which I used to use for creating files I would associate with WordPad (e.g. "file.docpad"). This program has text automation features I didn't even know I needed. To be clear, this is a text editor and not a word processor. With a name like "DocPad" you might think that it opens .DOC files (it does not). The Statistics feature alone is worth a great deal to me to help come up with initial document analysis. Sentences and paragraphs with too-long or too-short sentences gives me an idea of what kind of work is necessary. Oversized average word indicators is usually a good indicator of a overly technical document. "Normalize spaces" is great for very long documents when you want single spaces between words and double-spaces between sentences. I haven't found a simple way to do this in standard documents. "Randomize paragraphs" and "reverse paragraphs" might be helpful to help force rethinking the order of topics from sequential (first X happened and the conclusion was Y) to topical (Y is why you'd want to try X). "Trim trailing spaces" is very useful when copying information in from spreadsheet programs. "Discard paragraph containing" can help kill sections that mention a term or phrase. The "unindent" feature is excellent for pulling all text indented by tabs or spaces to the right. Just keep pressing to zap indentation. Love it. For operations where something would be deleted, would like to see the program identify sections rather than just deleting them. So "display duplicate paragraphs" or "highlight paragraphs with X value"
This and Atlantis Lite have opened my eyes to some additional functions available in a text editor. Very glad to have them.